Basically, if you take a glance at this trailer, you would perfectly understand what’s going on in this movie about a life-disoriented and shallow-living girl, who was enclosed in her cell-like apartment and who considers that reading 17 books per 1 week is finely normal. 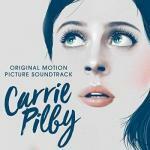 Somehow, we think that the film’s name and the heroine’s name Carrie Pilby are dedicated to late Carrie Fisher, the actress, but it’s only our thought. It would not prevent you from getting satisfaction from seeing this movie, which is about a very-very smart girl, who graduated Harvard in 18, who was writing angry letters to environment-polluting oil companies in 6, who speaks around 10 languages, and who rightfully consider that people are freaking dishonest, untrustworthy, and unreliable. Still, her shrink offers her to prove all that vinaigrette that she has in her head about not getting close with people, denying proximity with her parents, and hating a job as these all are connected to dumb, as she considers, men and women. She starts to make a proposed by him goal list come true (to the end of the year) & discovers something that she believed was impossible & unnecessary. This drama is backed with good humor that will not reach all the people, as it is sophisticated in moments. It is also intertwined with reasonably smart music background: Magnets by Disclosure and Lorde & others. Louise Goffin’s lyrics in ‘Watching the Sky Turn Blue’ are charming for the smart people with high IQ & Thomas Blondet’s lyrics are suitable for all in a song ‘In This World (OneEra Remix)’.